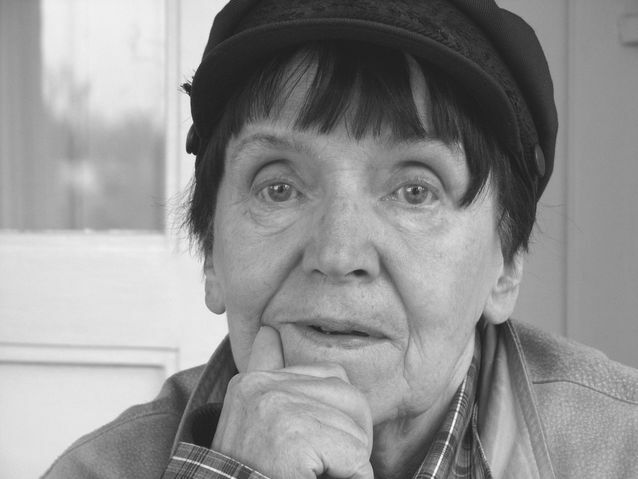 Mirkka Rekola made her debut as a poet in the 1950s, and her career spanned over half a century. The central theme of her poetry was dualism. Of those authors who began their careers in the mid-to-late 20th century, She is considered one of the few whose works can be listed among the undisputed classics of Finnish literature. Rekola began writing poetry as a teenager in the 1940s. Her first collection was published in 1954, the same year she graduated from upper secondary school. This collection, entitled Vedessä palaa (‘Fire on water’), was published by WSOY, which made her an exception to the rule for modern lyrical poets of her day, as their work was published by the Otava Publishing Company. The reception for her first collection was mainly positive, but it was also criticised for being difficult to understand. After matriculating, Rekola enrolled at the University of Helsinki to study literature and philosophy. However, she became frustrated with philosophy, as it diverted her from her true passion. She dropped out of school and became a freelance writer in 1958.
kun olit mennyt ohi, unohdin. when you went, it slipped my mind. Kun sinä tulit (‘When you came’) is from the 1965 collection Ilo ja epäsymmetriä (‘Joy and asymmetry’) by Mirkka Rekola. 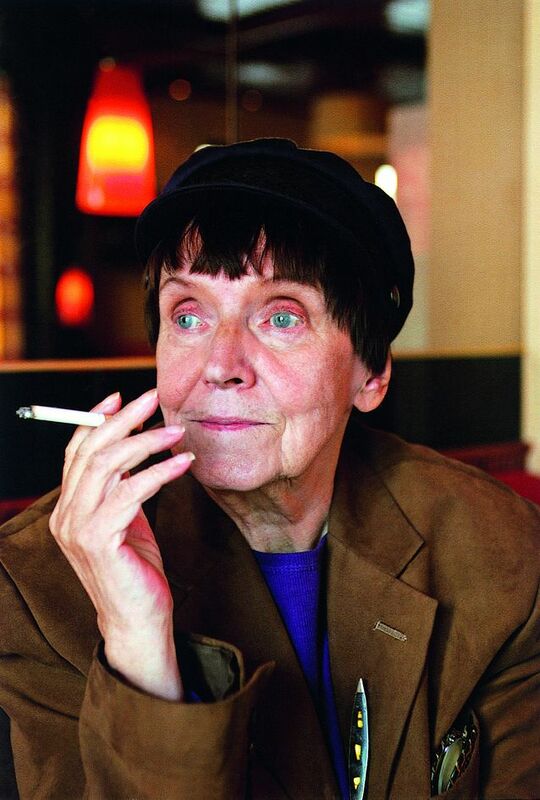 Rekola began publishing aphorisms with her 1969 book Muistikirja (‘Notebook’). She herself said that she had written aphorisms long before her first collection of poetry was published, but those early aphorisms had not found their way into print. Her poetry became increasingly complex in the 1970s and 1980s, until it was once again simplified at the turn of the 1990s. The most significant overarching theme in her work is paired elements, for example, twins or night and day. Through her poetry Rekola criticised a dualistic worldview that sees things in black and white. This criticism fell on deaf ears in the cultural environment of 1960s and 1970s Finland, but later on her way of handling the relationship between extremes has been praised. Rekola published new work steadily every few years, but she seldom appeared in the public eye until the 1990s. This was partly because of her extremely severe allergies, which had affected her health since childhood. Despite this she is said to have been a captivating performer who could at a moment’s notice stand up and begin reciting poetry from memory, both her own and the classics. Rekola received several awards during her career, including the State Award for Literature five times, the Pro Finlandia award in 1982, the Eino Leino award in 1979, and many others. She published a total of 17 collections of poetry, 4 collections of aphorisms and 3 other books. In 2000 Mirkka Rekola was awarded an honorary doctorate by the University of Helsinki in recognition of her literary merits. 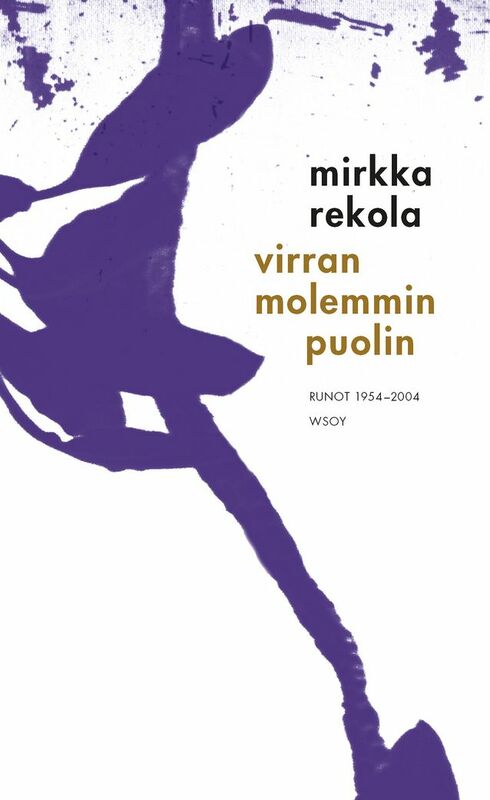 In 1997 WSOY published the collection “Virran molemmin puolin” (‘Both sides of the stream’), which contains four decades of Mirkka Rekola’s poetry. Photo: WSOY. Liisa Enwald, Rekola, Mirkka, National Biography of Finland Online Publication. Available for free through the Nelli Portal. Accessed December 10, 2015. Sirpa Pääkkönen, Mirkka Rekola, an online publication of the newspaper Helsingin Sanomat. Accessed December 10, 2015. Mirkka Rekola, Wikipedia article. Accessed December 10, 2015. Viikon taiteilija: runoilija Mirkka Rekola (‘Artist of the Week: Poet Mirkka Rekola’). An interview with Mirkka Rekola by the Finnish Broadcasting Company. Available on the online archive of the Finnish Broadcasting Company. Accessed December 10, 2015.